Kingdom Hearts III has been in the wild for nearly a week now, and it has definitely taken the world by storm. The game not only provides a satisfying ending to the current arc of the series, but also presents players with exciting and addicting gameplay to keep them playing for hours on end. With that said, Kingdom Hearts III does have a small issue of presenting too many mechanics and too much content to the player. It can be a little daunting. Don’t worry, we here at Culture of Gaming have a few basics that will help you get started. We’ll provide you with some of the key basics that will get you ready to take the game by the reins and succeed. 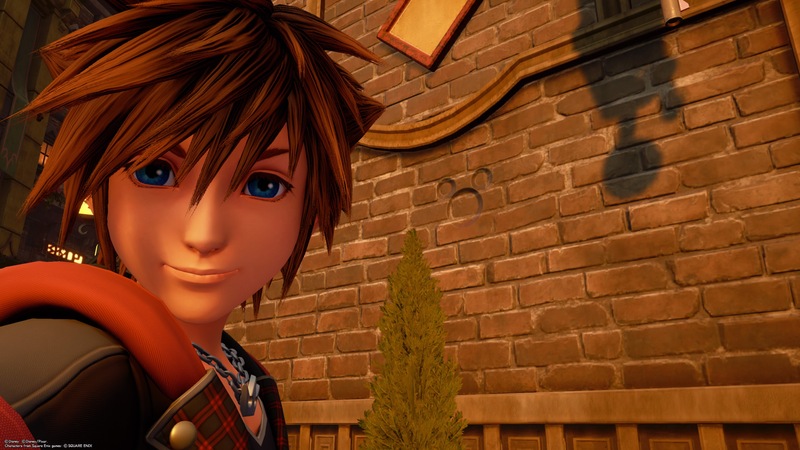 As with most Action RPGs, Kingdom Hearts III offers plenty of skills and abilities that can improve both you and your party as you progress through the game. The problem here is that, more often than not, you’ll be so focused on the action going on in front of you, that you won’t even notice the little text in the corner that informs you of new abilities earned. Because of this, you should make it a habit to go to the ability menu and look for any new abilities you have earned. This is imperative, as some abilities unlock combat finishers and techniques, while others aid in traversing the various Disney Worlds. In short, abilities help you play better and it is best to stay on top of them. 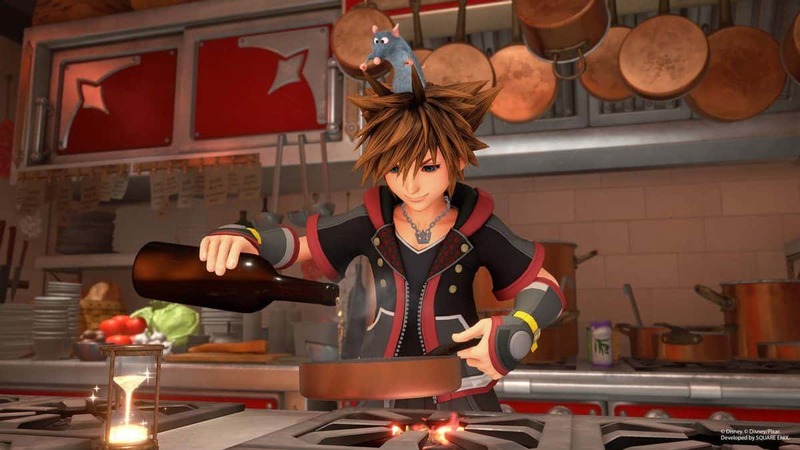 At a certain point of the game, you’ll unlock the ability to access Scrooge’s Bistro, where you can prepare dishes along side Ratatouille’s Remy with the ingredients you find along your travels. These dishes not only give temporary stat buffs, but also give you access to more special attacks if you consume one dish from each portion of the menu. As you progress, keep an eye out for any and all ingredients, as certain dishes will only unlock when you have the correct ingredients. Be sure to stock up on them as well, as the minigames that allow you to create said dishes can be a little tricky to master the first time around. 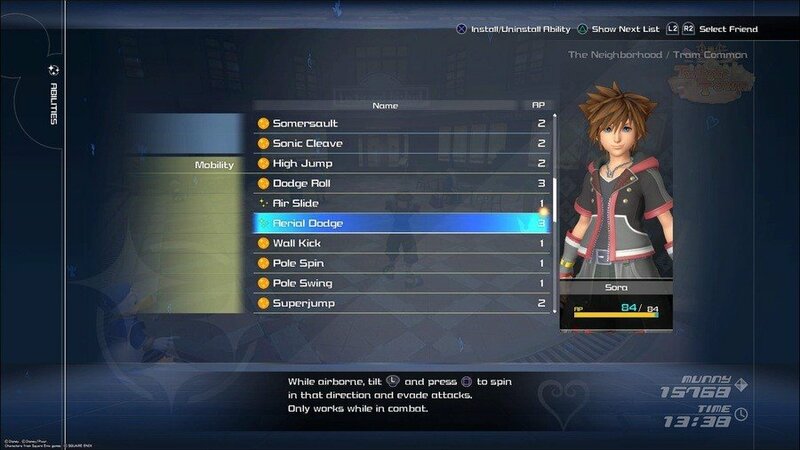 Keyblades have certainly had a makeover for Kingdom Hearts III, as now each Keyblade can provide a different form change and one of a variety of different modes that you can activate. 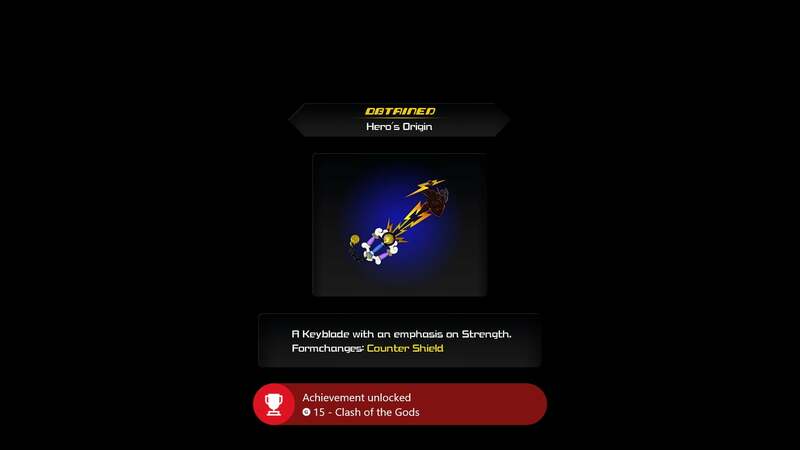 For instance, the Hero’s Origin Keyblade allows you to change into defense form, while the Shooting Star Keyblade gives you the magic form. As the names imply, certain forms give boosts in certain areas of combat, so have a variety on hand for when you need them. 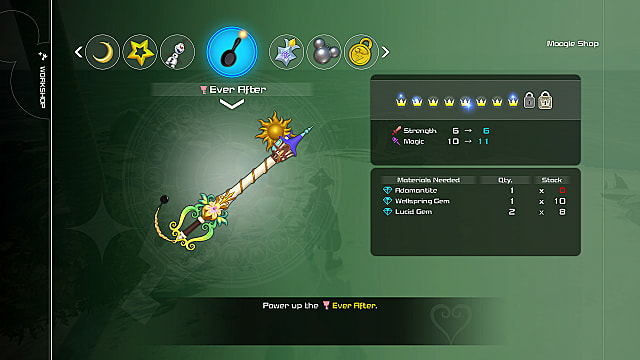 Plus, with the new feature of having up to three Keyblades equipped at a time, you can create the type combination that best works for you. While it may seem like a hassle to put all of this effort into gather materials for crafting, synthesizing at the Moogle Shop can prove to come in handy. While you can create new items, equipment, and accessories at the shop, you can also upgrade your Keyblades. These upgrades increase the stats of your Keyblade and may even unlock secret abilities at a certain point. Not only that, but synthesized equipment can often offer more than ones that you find elsewhere. To have the right materials, make sure to always explore the worlds to the best of your capabilities. You’ll never know when you’ll find a chest with that one item you need. Early on in the game, you will learn about Lucky Emblems: hidden Mickey-Mouse-shaped Easter eggs that spread across the many worlds. While it may seem like a pointless chore, these emblems actually serve as the requirement for unlocking the game’s secret ending. The number of emblems required varies depending of the level of difficulty the game is set to. You will need 30 emblems on Proud Mode, 60 emblems on Standard Mode, and 90 emblems on Easy mode. Having trouble? Listen in on Donald and Goofy as you explore, as they will sometimes alert you to when an emblem is nearby. That’s all of our tips for Kingdom Hearts III. Do you know of any that we missed? Let us know in the comments below! For more content, check out our articles on 5 Nintendo Franchises That Would Work Great on Mobile and Achievement Hunting: What’s the Allure? Otherwise, keep it on Culture of Gaming for all things gaming!